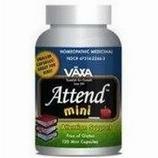 VÄXA Attend is a safe, homeopathic medicinal specifically engineered to help support the function of the Central Nervous System (CNS) of individuals who are inclined to be inattentive, under- and/or overactive and perhaps learning impaired, enabling the body to balance both neural growth and neurotransmitter production within the Brain and Central Nervous System. Also comes in mini capsules, easier to swallow by children. 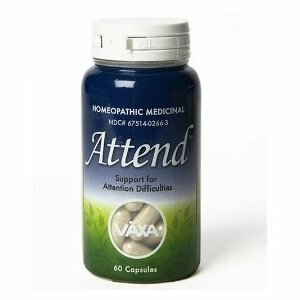 Adult dosage: <Less than 150lbs: 2 to 4 capsules Greater than 150lbs: 4 to 6 capsules. The maximum adult dose is 8 capsules twice daily. 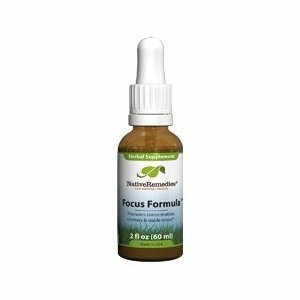 Focus Formula is a 100% natural supplement suitable for children and adults which may encourage mental focus, concentration & attention span.? Focus Formula is formulated to the highest therapeutic standards and manufactured under strict pharmaceutical conditions, in consultation with the Native Remedies clinical psychologist and her team of natural health experts, using ingredients specially chosen for their safety and effectiveness. ? Native Remedies and their suppliers are registered with the FDA as accredited suppliers and manufacturers of health supplements. All Native Remedies products are manufactured in an FDA registered pharmaceutical facility under close supervision. Manufacturing is done strictly according to the principles of GMP (Good Manufacturing Practice) and all raw ingredients undergo stringent testing before being approved by registered manufacturing pharmacists. DISCLAIMER: Always check with your pharmacist for interactions between all prescribed and non-prescribed drugs, remedies, natural supplements, etc.